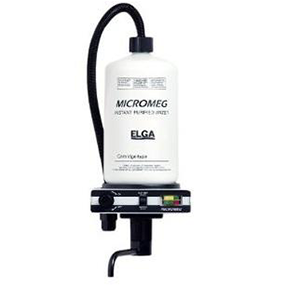 Elga micromeg wall mounted deionisation system can produce up to 90 litres per hour of high purity water for a wide range of laboratory and general manufacturing applications. The deioniser is a cost-effective stand-alone system that provides low to medium volumes of primary or deionised grade water. Water quality is easy to monitor with a built in meter.